Not least because if we don’t, well I am not sure we can cope twitch the extra energy that they might have…this was after a day on the ski slopes, just imagine what he might be like without the exercise…. Understand more about living a healthier lifestyle. I was shocked to hear from SAQ that the programs that they are running in some locations in the UK start off with simple basics like recognising what is a fruit and what is a vegetable.In the pilots that they carried out, a shocking number of children, for example, didn’t know what an Apple was. This makes me very, very sad that we aren’t giving our children access to these wonderful foods from a very early age, and across the country. The programme is organised into 12 or 13 weekly units which focus on specific areas form co-ordination to reaction times. The cost depends on where the classes, but range from £77 – £135, depending on the tiered membership that the clubs offer. Participants must also be club members which is a £15 a month cost in addition. From January next year, it will be offered at Virgin Clubs across the country for children from 8-16 years of age. Hurdles, and beanbags, which were jumped over rather marvellously by my daughter, and also used for warming up. My daughter loved it…what more do I need to say? Can you see the concentration on her face, and action in her legs! She isn’t someone that takes to team sports well. The class, and the programme, seems to offer a great alternative to playing football or hockey, etc. Sometimes the kids that want to be active don’t have a focus for their energy because they aren’t into team sports. There just aren’t enough alternatives for them to pursue, particularly if they aren’t naturally sporty either. 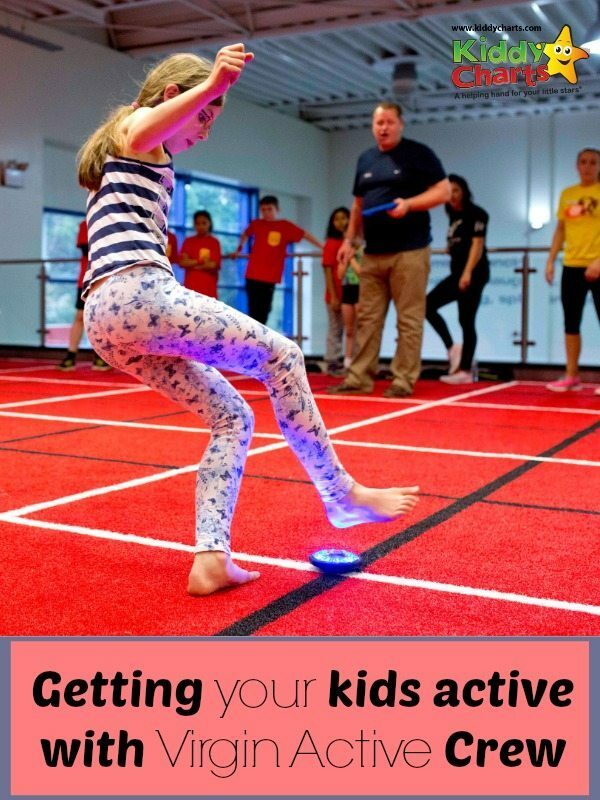 This class provided a fun way for my daughter to learn about fitness, movement, and to help build confidence, without the need to be keen on a particular sport, whether it’s football, athletics or anything else in between. 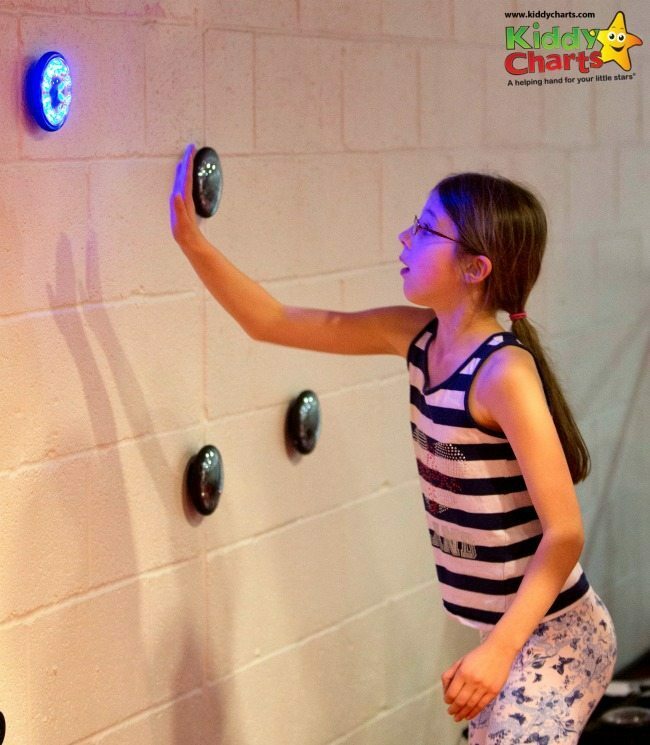 Chatterbox has always being worried about “failing” too, part of the reason that team sports put her off – there are a lot of other people watching and relying on you. This programme is focused on improvements in YOUR OWN achievements and progressing. For those that are competitive it is possible to “compete” using some of the activities. For example, the lights game where you have to hit lights and you are timed to see how long it takes you to finish the exercise compared to other members of your class. The faster your reactions, the quicker you will be able to finish. However, within the full programme, a key principle is to see your improvement within the period the classes are taken. My daughter was impressed with the instructor, and all of them were very able to motivate and communicate with the children, getting them very involved with the exercises extremely easily. Overall 9/10 – thumbs up from Chatterbox! Unfortunately, we aren’t near enough to a club, and this is the only downside to the programs that I can see, alongside the potential that those that most need this type of programme aren’t able to meet this fees. This is why it is important for this type of activity to be available in schools *puts governor hat on. * I was pleased to hear that SAQ International are also working with the government, and it would be wonderful to see an organisation like Virgin Active taking the lead in sponsoring this type of activity to make it more accessible to those with less disposable income. We are already an active family, so we aren’t going to change an already positive approach to exercise after our session, but I can completely see that there would be many who don’t have the same attitude as us that would be strongly affected by the programme and its diverse and keen engagement with the children. I look forward to seeing how the initiative develops. Have you been to an Virgin Active Crew session – what did you think? Let us know, we would love to hear what you made of it too.